Mouth sores can be a nuisance during chemotherapy; not only due to the discomfort they cause, but also from the limitations they can pose on eating, and sometimes even talking. Symptoms can include redness, sometimes open sores, and burning in the mouth. Some foods, as well as smoking can exacerbate the symptoms and increase the risk of developing an infection (such as thrush) in your mouth. Thankfully, an awareness of things that can either ease or worsen mouth sores can help make this common side effect tolerable for many people. Since chemotherapy attacks rapidly dividing cells, it can also affect the rapidly dividing cells lining the mouth. Chemotherapy may also affect the production of saliva, and alter the normal bacteria present in the mouth, making infections more likely. Inflammation of mucous membranes in the mouth, sometimes referred to as stomatitis or mucositis, often begin a few days after starting chemotherapy and can last for several weeks. Radiation therapy and surgery can cause inflammation in the mouth as well, and symptoms may be worse if you are receiving a combination of chemotherapy and radiation treatments for your cancer. Symptoms and signs include a burning type of pain and redness, involving the floor or roof of the mouth, cheeks, gums, tongue, and lips. White patches can appear which turn red after the tissue sloughs. Mouth pain can make eating difficult and may make talking and swallowing uncomfortable. These medications are used often, particularly with breast cancer chemotherapy, and therefore mouth sores are very common among people being treated for cancer. Almost everyone who receives radiation to the head and/or neck region will experience mouth sores as well. 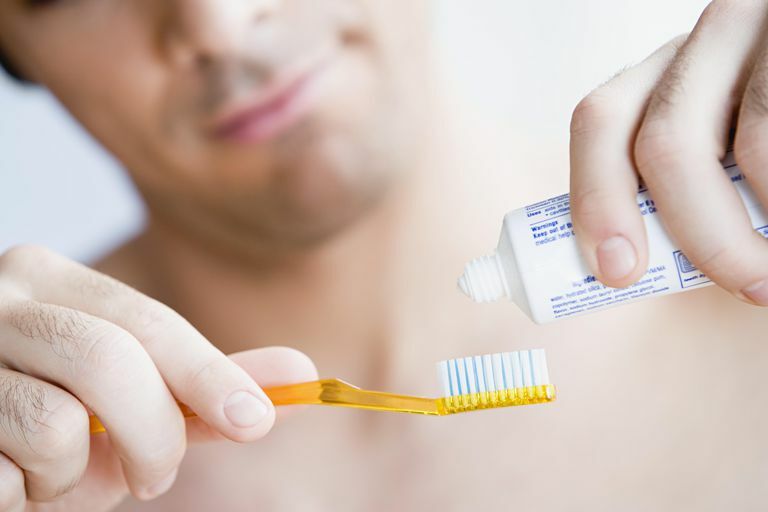 Good oral care is essential not only to manage mouth sores, but as part of caring for yourself with cancer. We are learning that gum disease is linked with inflammation that may even significantly increase the risk of developing some cancers in the first place. Taking some time to think about what you can and cannot eat will pay off in big dividends. It's much easier to limit problems foods before they cause problems, than to cope with a sore mouth as a reminder. Avoid foods that are spicy, salty, or foods with citrus acid and tomato juice. Pineapple and strawberries are often tolerated better than other fruits, and grape or apple juice may cause less discomfort than citrus and tomato juices. The air you breathe and the company you keep can affect how your mouth sores feel. Most of the time mouth sores can be managed by diet and good oral hygiene until they resolve on their own. Some oncologists may recommend artificial saliva, or topical agents to treat pain. In severe cases, cryotherapy or laser therapy has been used at a few cancer centers, and new medications are being tested in clinical trials, designed to promote regrowth of tissues in the mouth. Mouth sores can be an uncomfortable side effect of chemotherapy, but sometimes they can lead to more serious problems as well. Infections can develop (bacterial, fungal, or viral,) especially if your white blood cell count is lowered from chemotherapy. Bleeding may occur. Pain can become quite severe for some people, requiring stronger pain management. Malnutrition and dehydration may occur if the pain and sores are interfering with your ability to take in adequate nutrition or fluids. Considering the different side effects of chemotherapy, mouth sores may seem low on the list as far as seriousness, but that's just not true. Mouth sores can lead to weight loss, and weight loss in people with cancer can be very serious. In fact, cancer cachexia, a syndrome which includes weight loss among other symptoms, is considered to be the direct cause of death for 20 percent of people with cancer. Don't hesitate to call your doctor if you are suffering from this common complication. Chaveli-Lopez, B., and J. Bagan-Sebastian. Treatment of Oral Mucositis Due to Chemotherapy. Journal of Clinical and Experimental Dentistry. 2016. 8(2):e201-9. Riley, P., Glenny, A., Worthington, H. et al. Interventions for Preventing Oral Mucositis in Patients with Cancer Receiving Treatment: Oral Cryotherapy. Cochrane Database of Systematic Reviews. 12:CD011552. Daugelaite, G., Uzkuraityte, K., Jagelavicience, E., and A. Filipauskas. Prevention and Treatment of Chemotherapy and Radiotherapy Induced Oral Mucositis. Medicine. 2019. 55(2):pii:E25. How Can You Cope With Anger When You Have Cancer?